The aforementioned track, “I Wish I Was Sober” (who hasn’t? 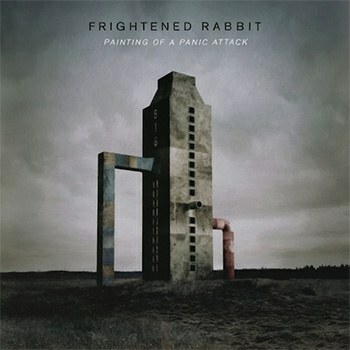 ), is one of, if not, the best tracks on the record because it has all the components that make up a great Frightened Rabbit song: it’s self deprecating, loaded with emotionally astute metaphors like, “Choke down the gateway drug / Open the gates, in came the flood / It comes like a blush of love, it hits me without warning.” Like many successful tracks in the band’s catalogue, the lyrical intention is confused by the steadily rising, upbeat tempo that lends well to the rising emotions of a live audience -- harmonies gaining momentum over mournful soliloquies, normalizing universal anguish. Even in the ways Frabbit (as they are known to their most devout fans) repeat their strengths, they divert into new musical terrain with the heavy-laden influence of producer Aaron Dessner. In addition to more reverberant melodies, a general deceleration in tempo and the weighty use of organ, there are very direct National nuances. Upon hearing the first few chime and booms of “An Otherwise Disappointing Life”, I expect to hear the opening to the National’s “Conversation 16”, and the piano line in “I Wish I Was Sober” is a dead ringer for a similar part in “Terrible Love”. Dessner’s active role in the National bleeds into Painting of a Panic Attack, pausing the usual rushed anxiety to mull in the sorrow a bit -- something The National knows a thing or to about.